Working with domestic pets is probably the most convenient way to build general experience because there are so many; along with pet-related industries. Pet shops, kennelsand catteries, grooming parlours, veterinary practices and animal charities are just some of the businesses that may be able to offer paid, or unpaid, work to the keen beginner who genuinely wants to learn. Animals require food, water and shelter as absolute basics for survival. For animals to be happy, well adjusted and properly cared for takes a lot more time, effort and money!Animals need love, confidence and security. Compare the facial expressions and body carriage of abandoned pets, shown on TV, to those of much-loved family pets. That shows the distinct difference between surviving and living happily. Working with pets promotes bonding with humans-animals would previously have had close relationships with their mother and litter mates-their pack. Animal carers play a vital role in the welfare of animals. The best way to learn about animals is to observe them. Watch the body language between them and study their behavioural patterns. With wildlife and conservation projects, this is also relevant. When experts are dealing with gorillas or lions, for example, similar basic rules of care apply, but it can be life-threatening if an animal handler misreads or oversteps the accepted boundaries! Whether their work experience takes place in a zoo, a farm, an animal charity centre, or the local pet shop, there are some tasks that have to be done as part of the animal's routine. Routine is important because it means animals know what to expect and when-that equates to security. Main chores are to ensure all animals in their care have a comfortable, clean, place to sleep, fresh water and a good, balanced, diet. Time must also be found for grooming, training, exercise and play/companionship, appropriate to the animal. The bulk of general animal care, whatever the animal, consists of these regular tasks. Immunisation, worming,general health checks and record-keeping are other essentials. Depending on the age and experience of an animal care worker, there are several options. It is ideal to spend a certain amount of time with each, or at least some, of the above. That way, more general experience can be gained and different teaching techniques seen. If it becomes clear during the general animal work that a person has a natural affinity with onetype of work, or a certain species of animal, they can then make a more informed decisionabout what to do next. When someone has done general work experience with animals and decides that they want to learn more, they could look for full time employment in the area that interests them most and find out about taking qualifications like an NVQ or BTEC in Animal Care. Although qualifications are not normally needed for basic animal care positions (and the pay reflects this) previous experience as a volunteer worker shows a degree of commitment and genuine interest. General work experience with animals can be hard in several ways. It is physically demanding, poorly paid, sometimes monotonous and mentally and emotionally draining. Itis also one of the most valuable things to do for those interested in pursuing a career with animals. Hi my name is Charmaine, I am 14 and I am looking for work experience with animals as I am in year 10 and I would really like to work with animals when I finish school, I love animals and I would really like a job with them. Hi my name is Kim. I'm 15 years old and im based in Liverpool , England. I am currently looking for any work experience with animals. I am in my last year of school and are looking to soon apply to a college , the colleges I have been looking at suggest work experience with animals. can you help ? 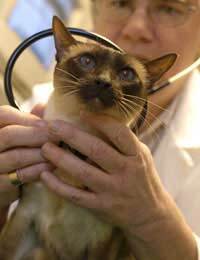 Your best option is to contact veterinary practices and animal rescue homes in your area directly. We cannot help you via this site and it is always avisable to contact the company directly so you know they are valid. hi my name is Kim. I'm 15 years old and im based in Liverpool , England . I am currently looking for any work experience with animals . I am in my last year of school and are looking to soon apply to a college , the colleges i have been looking at suggest work experience with animals . can you help ? I'm a 14 year old looking for work experience next year in some sort of zoology particularly marine zoology. I'm based in Melbourne and would love some advice. Hello, I am a 14 year old girl in need of some work experience to work with animals. I am based in Farnsfield, and the places I have so far applied for have only been for 16 year olds and older. I am very passionate about working with animals and playing with them. Taking care of them makes me happy, resulting in me working harder. Unfortunately, you may find this with many organisations due to insurance reasons. You may be able to gain work experience through your parents if they are willing to volunteer and bring you with them. The likes of the National Trust may be helpful here here . I am 16 years old and doing level 3 year 1 animal management at Reaseheath College. I have 3 weeks I need to do a work placement (30th April-18th May) but I can start earlier. I live in Crewe but can also go to Nantwich. Hi, I'm a year 10 looking for work experience in June. I will be 25 and I'm just looking for somewhere where I can just help out and be an Extra pair of hands but in the future I would like to work with and help abused and abandoned pets. Hello I’m karly , I’m 14 and based in Luton , I am looking for work experience with animals in shelters , clinics or vet centers . I’m very confident and have a strong compassion for animals. I been helping animals for a long as I can remember. I have a strong bond with a lot or animals and find I understand them really well and would love to work with them in the future. Not sure where I’d start but would like to improve my CV as I know this would help. I know that my age will make things harder but if you have any anvice on what to do please let me know . Hello, I am 16 years old and I'm looking for work experience. I used to have pets but have no overall experience. I haven't decided what I would like to do in the future yet but I want to experience how working with animals feels like since I genuinely love them. This would certanly help me decide my future career. I am available in any holidays and wouldn't mind working full time cleaning (any type of) animals, their habitat or observing small surgeries. Hi my name is Bobby and I'm 15 I'm looking for work experience with animals,I live in rutland uk and I'm n o t sure were to start,can anyone help. I am 14 yrs old and I am interested in getting work experience with animals. Most people tell me that because of my age that I might as well wait until I am 16 before I look at it. If people do say I can look at experience I have to do it through school. I love animals and I find I understand them well so I would love to work towards a career with them. I don't live on a farm or anything like that (I would if I could) I just have my dog who is 10yrs old. I want to improve my CV to improve my chances in the future. I would be grateful for any advice you can give me. I'm afraid you would have to enquire directly. You can do this via the Do-It site here. I hope this helps. I'm sixteen and have just began a BTEC course in animal management.I have completed three week's work experience with cat's protection which I did during the school holiday's.I have been informed by my tutor at college that I should be looking for work experience.I am prepared to work in any animal sector and would love to do voluntary work.I have two dog's a rabbit and fish. Could you please give me any information or address's that could help me.I look forward to hearing from you.Evelyn. hi im 21 years old and i'm currently taking part in the prince's trust team programme. i am interested in working with animals. february 17th i am doing work experience and would like to no how i can help. its a 2 week placement. i will look forward on hearing from you. thank you for your time. I am a year 10 student and I am looking for work experience with animals. I work at weekends and during school holidays at a local equestrian centre and would like to become a vet. I live in Rochford, Essex but also have family in Southend and Basildon, Essex so any of these areas would be preferable. My work experience dates are 3rd -14th of February 2014. I would be grateful if you ave any suggestions. Thank you! I am very interested in working with animals I have a rabbit of my own and love to give her attention I would love to know more about cats and dogs.i look forward from hearing back from you.